Alma was just a cute little Grandma who came to my emergency room on Christmas Day. Her family was in the middle of opening presents, when she suffered a stroke, so her daughter Brenda and granddaughter Ali rushed her to the ER. She was a bit confused, but stable; so we admitted her to the hospital to run the tests and have neurology evaluate her. The day after Christmas she was her hysterically funny, feisty self. 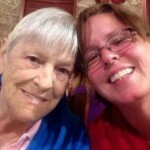 She and her sister Jean always had long talks about their medical challenges. 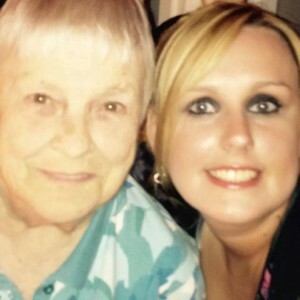 So she looked at her daughter Brenda and said, “Let’s see what Jean says about THIS one!” Two days after Christmas she had the second stroke in a major artery on the right side of her brain. The neurologist discussed the results with the family, and told them to take things one day at a time. On the third day after Christmas, the nurse called me to say Alma would not wake up to take her medication. Her blood sugar had been low earlier in the day but was now normal, so we called the neurologist, knowing it was probably a third stroke. He explained to the family that the major artery to the right side of her brain was occluded, that she was in a full coma, and that she had less than 48 hours to live. I spent a long time counseling the family. I explained the good news; that in a coma the Spirit has left the body and it floats on the ceiling, totally free of suffering, looking down with Love on the family members at the bedside. Brenda completely understood this, when her 2 year old granddaughter Callie kept looking up at the ceiling, seeing Great Grandma in her Spirit form. Just before Alma took her final breath, this tiny little girl put a potato chip on her bed, as a farewell gift to her sweet great grandmother! The family called me on my cell, to tell me that Alma’s time had come. I came to the room, called the physician who would do the final pronouncement, and as we waited we joined hands and gathered around the bed to pray and thank God for the life of this wonderful woman. Then I played music from the Faure Requiem, “In Paradisium”, which is the final prayer read by the priest at the grave site in all Catholic funerals. Little did I know that this family would be so comforted by the things I taught them at the bedside, that they put words of thanks to me in Alma’s obituary! Then, on my last two days in Columbus, after my temporary Hospitalist position had ended, this family took me to dinner for my Birthday and allowed me to stay with them at their home! It was a time of grieving for me, because I was leaving a hospital that I had come to know and love for 4 months. I was having to let go of all the doctors and nurses that had become my dear friends. It could have been a very sad day for me to lose all that, but the Love of this family, me made me remember that wherever I go, I am doing God’s work, and there is always another blessing around the corner! Brenda’s daughter Ali was very close to her Grandmother, so just before I left Columbus I gave her a gift from Alma. Little Callie cannot say Ali, so she calls her Ya Ya. I let her know that this is what Greek children call their grandmothers, and that I believed that Callie called her this, because she could see Grandma Alma living on in her! If you have lost anyone during the holidays, I hope this story brings you comfort. Feel free to comment, if anything that has been written helps you in your healing. God bless! 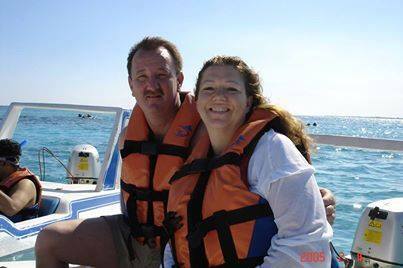 In January 2014, my friend from Marietta lost a wonderful man, her husband Rick, while he was waiting patiently for a heart transplant at Emory University. This man was passionate about four things: his beautiful and loving wife Janet, his sons Ricky and Ryan, making McDonalds a successful corporation in the Atlanta area, and last but not least FOOTBALL, (especially his beloved Baltimore Ravens)! I was honored to sing at his memorial in February 2014. I had known Janet for some time; but I got to meet his sons and his Mom and Dad, in addition to other friends and relatives, plus a huge fan club from the McDonald’s Corporation who loved this man in a very deep way. So it gave me great joy in August, when Janet let me know she went online to buy a copy of Message from Daddy, to see what she could do to learn about healing her heart, and to help her sons do the same. She even sent a copy Rick’s Mother, who at 85 years of age had no idea why she was alive and her son was not. In Chapter 34: Celebrate the First Year, I remind people to honor themselves for surviving that first year of grief work. I want them to realize they have passed through all of the holidays, anniversaries, and special events that they would have shared with their loved one. They have allowed themselves to feel the loss, experience the pain, honor their feelings, get love and support from family and friends, and learn new strategies for coping with life, when that special person is no longer “in the flesh”. They have actually survived all of the challenges of the first year! I tell my readers to plan a celebration! It is a celebration of that person who contributed so much to their life while walking this earth, but it is also a celebration of their own personal victory for making it to this milestone! Janet, Ricky, and Ryan found a way to do just that, and it was an awesome experience for all of them! 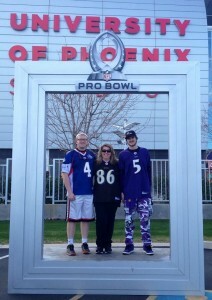 One day, Janet just went online and bought airline tickets to Arizona, and hotel rooms in Phoenix, so that the family could “take Dad to the Pro Bowl!” Look at their photo and see the joy on their faces. The boys told me that they felt Dad with them every moment of the day. Janet could feel Rick’s excitement, every time she was rooting for one of her favorite Ravens or screaming about outstanding plays! When they got home and told me the story, I knew it would have to be my post for January. I hope it inspires all of you to create a special celebration when you reach that anniversary, in the process of your grief work. If the first anniversary has already passed, then have the celebration on whatever anniversary is next. God bless! The week before Christmas, my beautiful daughter and only child, Julie, had surgery on her ankle. I truly believe that having a loved one make their transition gives us an amazing perspective on life. In the past several years, I have lost my sweetheart Rodger, my Dad Bill, and my Mom Theresa. My spiritual training has reminded me to always be grateful for what I HAVE, and to stay focused on everything that is RIGHT with my life! So… driving into Atlanta to take Julie to the hospital, be present with her during her surgical experience, then drive her back home to my cozy house on the lake to be her private duty nurse; it gave me great joy to spend time with the most important person in my life. I was extremely grateful that she came through her surgery without any complications, other than a low grade wound infection a week later that was easily treated with antibiotics. The very busy, busy job, I was working in at the time, had me scheduled for Christmas week. So Julie and I celebrated Christmas on Saturday December 19th; complete with the Christmas tree, the stockings over the warm fireplace, the gifts, and the Turkey/Tofurky dinner! On Sunday the 20th, we went to Unity of Athens, where I was the soloist for their Christmas program. We finished our holiday celebration with a fabulous brunch at The Grit Restaurant, with our friend Krista. Then I dropped Julie in Atlanta and continued on to Columbus where I worked a very long and stressful Christmas week, caring for those who were unfortunate enough to be hospitalized over the holiday. 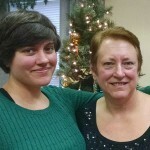 Again I was grateful to have my daughter be so healthy, as I helped folks deal with the illnesses of their family members, including my friend Brenda, whose Mom, Alma, suffered three strokes on Christmas week and made her transition on the 28th. So when the holidays come, we are tempted to feel sad and empty, missing those we have lost. This is a normal part of our grief work. But let us not forget to celebrate those who are STILL with us and all the small victories that occur when they face illness and come back to health. Let us also remember that those, who have made their transition, are present at the holiday dinner table as well. I like to hear the stories of how those on the other side make their presence known, so we can remember that their love and support is with us even now! God bless! I was at St Francis Hospital caring for patients all during Thanksgiving week, so this post is a bit late. At this time of year, we all think about what we are thankful for. This year I decided to thank the Szabo family for being an important part of my life! Rick Szabo was a patient of mine back in 2012-2013. His wife, Janet, had my cell number in her phone. She let me know last year that Rick was in the hospital waiting for a heart transplant. I kept him and his family in my prayers. Then, in January, Janet texted me that he had passed away. I told Janet I wanted to be there for her and the family, so I offered to sing at his memorial service on February 1st. 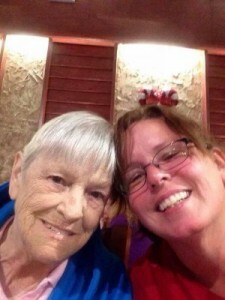 I also wanted to be there for her, during her first year of widowhood to share what I know about grief work and healing. Ricky, age 21, and Ryan, age 18, would also need a friend after losing their Dad. I had no idea what a gift this family would be to ME! After living in Atlanta for 21 years, I love to spend time there on the weekends. 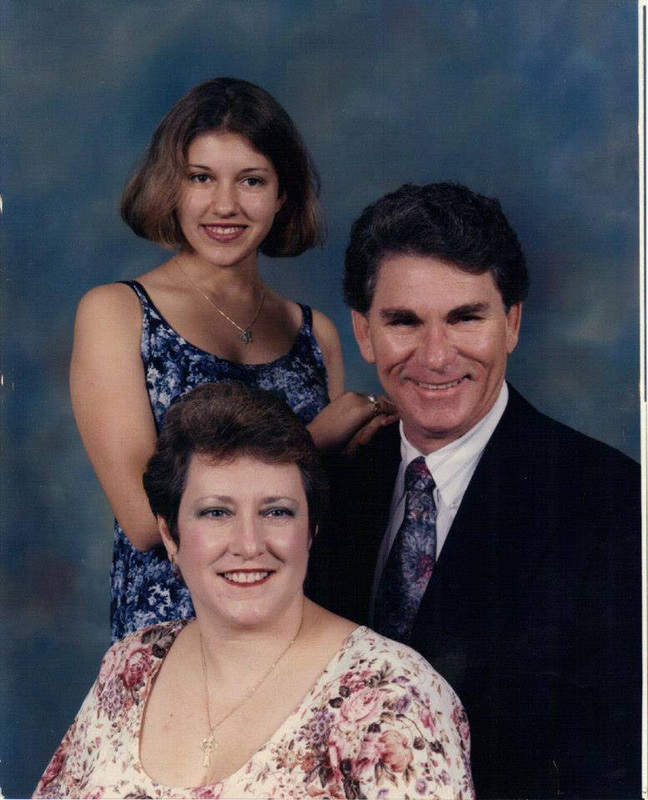 When my daughter Julie was living and working in Brookhaven, that gave me a place to stay in Atlanta. Then she left to go to grad school in Olympia WA in September. Thank God for the “Hotel Szabo”! Janet and the family live off Sandy Plains, near my old neighborhood and my church, Unity North. This family has shared their guest room with me numerous times, allowing me to attend important functions and stay connected to the greatest Spiritual Family anyone could ever have! It was wonderful, when “Message from Daddy” was published in August, to know that Janet read my post and immediately bought two copies of the book. One was for herself and the other was for Rick’s mother, Sophie. It warmed my heart to know that Janet read the book in 2 days, and Sophie read it 3 times! There they were, just 6 months after losing such a wonderful man, finding ways to do their healing work from the woman who sang at his memorial service and cared for him at the hospital. I felt so humbled by this response and happy that my book was already doing God’s work in the world! So what are you thankful for this holiday season? Feel free to post your thoughts below. 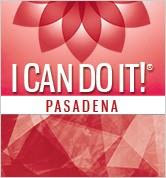 I just spent a magnificent and enlightening weekend at Hay House’s I Can Do It Conference in Pasadena. I had a book signing table for Message from Daddy on Saturday at 10:30 a.m. and 12:30 p.m. My book was able to touch 75 lives from all over the US including 2 gals from Lynn MA! Last month, I got 75 new fans at I Can Do It New York! So now I have friends on both coasts. On Saturday night I was walking by the book signing area and I found these two beautiful women sitting on a chair talking about emotional pain. Lorraine on the left works with Whitney on the right. Whitney was in tears, and I knew she needed my help. I asked her if she needed a “mommy hug”? When I sat down I found out her mother died when she was 9 years old, and after that her 19 year old sister raised her. Needless to say, she didn’t have anyone nearby to help her do her grief work at the age of 9. Somehow the safety of the Hay House conference allowed her to feel all her feelings that had been suppressed for 23 years! So we sat on the chair and did the work on Saturday night! I then gave her an autographed copy of my book so she could continue to do her work. When I saw her on Sunday afternoon, she looked like a completely different woman. She had a bright inner light that filled the room! 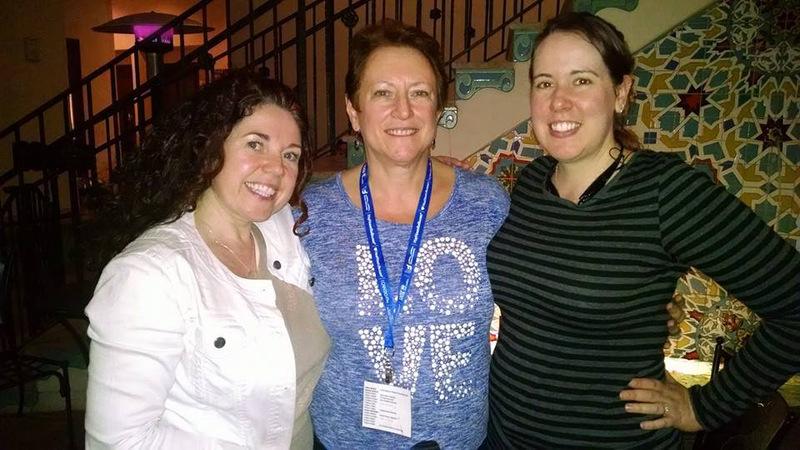 We attended Christiane Northrop’s final workshop of the weekend and celebrated together! Then she and Lorraine joined myself, Brianne, and Sophie at a wonderful local restaurant on the outdoor patio; for a sacred meal that celebrated the healing we each accomplished in the course of this weekend! It was definitely Divine Order that I walked by her chair on Saturday night! I feel so called to do this work for the rest of my life. I am so grateful to Momma Louise Hay for creating Balboa Press and giving me the opportunity to heal people all over the world! Thank you God! On Sunday, September 7, 2014; I was the guest minister at Unity Somerville, 6 William St, Somerville MA 02144. My topic was “The Love lives on”, based on my book, Message from Daddy: Healing your heart after the loss of a loved one. It was a great dress rehearsal for the rest of my ministerial career. I got awesome feedback from Revs Betty Walker and Henry Burrell. Most importantly, I helped heal a few hearts. On August 14, 2014, I gave birth. 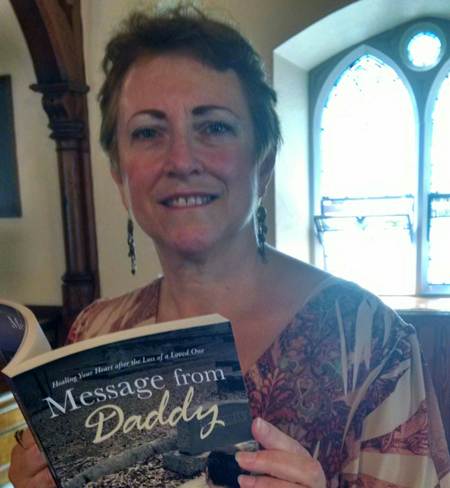 The review copy of my book, Message from Daddy, arrived at my house in Oak Bluffs MA! Then on Wednesday the 27th, my shipment of 100 paperbacks arrived at the door. That’s when it felt real. I am an author! There have been many miracles these past two weeks! The switchboard operator for MV Hospital had it on her Kindle the very first day it was available. The McCormick County Library in SC has a copy of my book on the shelf! The wife, of one of my patients, went to Bunch of Grapes Bookstore in Vineyard Haven and ordered 7 copies of the book. Then she asked the owner why it wasn’t on the shelf, and why I was not scheduled for a book signing? When I was at the bedside of a man who passed away, the 2 hospice workers and his 2 nieces, asked me how to order the book. A prominent anesthesiologist from Mass General Hospital also ordered the book. My favorite Cardiothoracic Surgeon at Emory/St Joseph’s Hospital in Atlanta ordered it and soon as he found www.balboapress.com! To order the book, just type Message from Daddy into the search box. 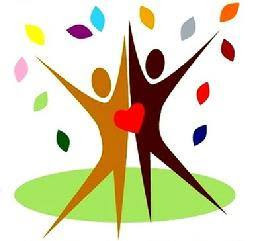 On Sunday 9/07, I will be the guest minister at Unity Somerville. My topic will be “The Love lives on!” On Thursday 9/11, I have a book signing at the Lincoln County Library in my hometown, Lincolnton GA. On September 20-21, I will have a book signing table at Hay House’s I CAN DO IT Conference, at the Javits Center in NYC! On October 24-26, I will do the same conference at the Civic Center in Pasadena CA. What an honor to share the venues with so many of my mentors; like Wayne Dyer, Louise Hay, Caroline Myss, Doreen Virtue, Anita Moorjani, David Kessler, Gregg Braden, Christiane Northrup, John Holland, Mona Lisa Schultz, and Reid Tracy! Will my feet even touch the ground on those two weekends? 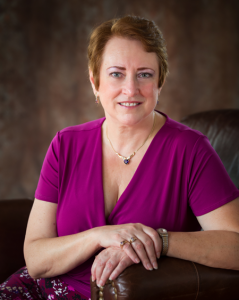 I have to give special thanks to Pam Grout, the author of E-squared. I’ve spent the past several months carefully reading that book and it taught me that I can manifest my heart’s desire! Woo hoo! I love my new life. I feel like the 21st century Mother Teresa, as I step into this role of embracing those who are suffering, and teaching them how to heal from the inside out. I feel so called to embark on this ministry. I send deep gratitude to those who have held this vision for me, these past two years. On the 15th of July, we celebrated the life of a wonderful man. My uncle Joseph Francis Hegarty Sr was the husband of my mother’s older sister, Mary. Out of my 24 cousins on Mom’s side, I was closest to his children, when I was growing up. 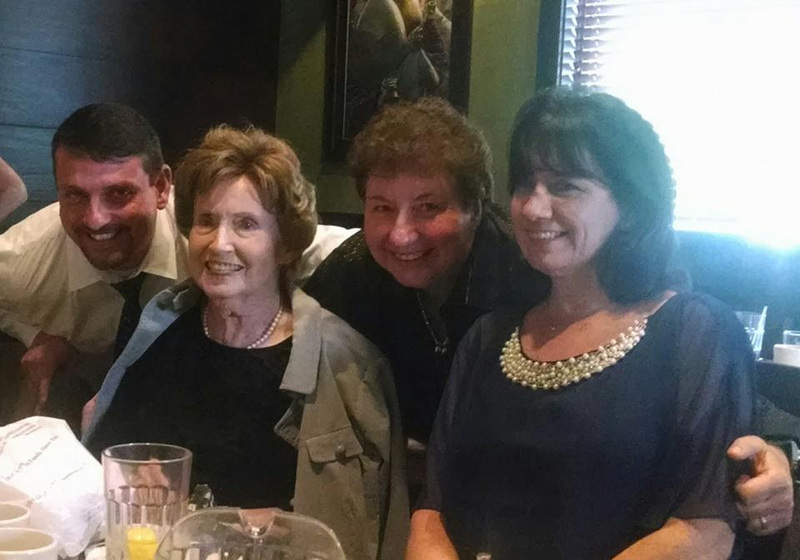 Here they are on the day of Uncle Joe’s memorial, surrounding Auntie Eileen, our mothers’ only living sister. This amazing family has faced the challenge of putting 4 relatives on hospice care in the past 7 years. Uncle John passed from lung cancer in 2007. Their mother, Mary, also passed at the end of 2007. Their beautiful sister, Joanne, went to heaven in the summer of 2013. Then they had to say goodbye to their father, Joe. What amazed me about my cousins, was their outlook on life. Despite all these losses, they were able to focus on the Love and the blessings they had gained from their family members over the years, and NOT on the emptiness and the loss! The next day, my godson, Joe Jr; posted the video of their Father’s U S Marine Corp Flag Ceremony on his Facebook page. Joe’s words really summed up the healthy attitude toward death and transition that this family has achieved. “Yesterday, I buried my father at the age of 88. He was my dad, my buddy, a devoted grandfather, an uncle, a marine in WW II, and a wonderful soul. He brought so much happiness and love into our lives. God has truly blessed my sisters and I with a great father and the best parents I could ever ask for. I know he is with my mother, and sister Joanne in Heaven. I have my own family to care for now, but I am happy to know we will all be reunited together someday in Heaven.” And so it is, Amen. It’s finally real! I have just received the final proofs of my book, Message from Daddy: Healing Your Heart after the Loss of a Loved One. In just a few weeks I will officially become an author! Those of you that have clicked “Like” on this page; will get a message about the book’s availability, cost, and publishing website. It will be available in hardcover, paperback, and eBook, on www.balboapress.com. Thanks to everyone for your Love and support during the creation of the book! Seven years ago today, the world lost an amazing man. Rodger was my best friend, the man of my dreams, my true soulmate, and a wonderful father figure to my daughter, Julie. From the first day we met, we completely understood each other. As difficult as his sudden death was, I was truly blessed to speak to him on the phone one hour before his car accident. We were planning a big night out on Saturday. As my Mother’s Day gift, he was taking me to our favorite Italian restaurant, and then to the Augusta Opera performance of La Boheme. I remember asking him if he remembered to pack his suit. He laughed and said he put it back in the closet by mistake. Then he added, “Don’t worry, because Men’s Wearhouse can have me one ready by Saturday!” It always amazed me how he could find the silver lining in every cloud. Over the past seven years I have learned a lot about life, and a lot about myself. Rodger has come to see me several times in dreams and it has helped me understand that the love lives on, even after death. I am now at the point, where all I have to do is close my eyes and think of him and I feel his presence. I remember the day when I finished the manuscript for my book. I felt him in the room with me. A warm, loving feeling came over me and a smile came to my face. I spoke to him out loud and said, “Sweetheart, you knew when you left, that you were leaving me with this amazing gift!”. That was the day everything that had happened finally made sense to me, and I was at peace. Now that my book is about to be published, I look forward to the next years of my life, when I will be helping people all over the world learn how to process their grief, heal their hearts, and find that peace that passes all understanding.